This is not a State Visit. Repeat. This is not a State Visit. If you didn't know better, the mega attention and the pattern of engagements going on during day two of #RoyalVisitSweden might lead you to believe otherwise. Business, culture, ties between the two nations involved? Check. 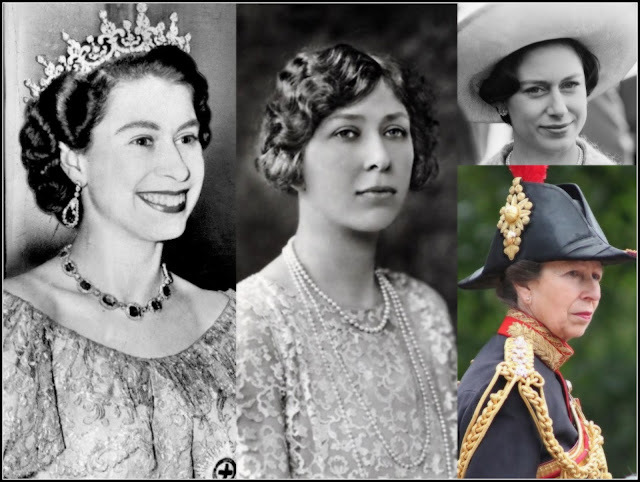 Lots of royal hosting and tea with two future queens? Check. Glamourous evening event involving boat ride? Check. Welcome to the final part of Kate and William in Stockholm. 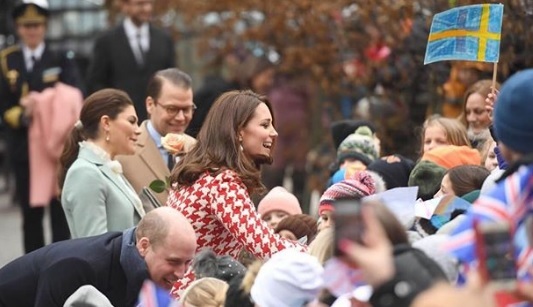 The royal day began at the world famous Karolinska Institute and the focus was firmly on mental health, of course one of William and Kate's main interests. They were there, along with Crown Princess Victoria and Prince Daniel, to hear about the work going on in the field of children and young people's mental health. There was a chance to see a programme called Youth Aware of Mental Health in action as the royal foursome headed to the Matteuskolan in Stockholm. They had a chat with pupils and teachers and joined a session on mental health. William also gave a speech, again underlining the importance of talking about mental health issues. Crown Princess Victoria, easily the most popular member of Sweden's Royal Family and a bit of a hit wherever she goes also gave a speech. There was a chance for a walkabout at the school and there was a good crowd waiting for the four royals. William and Kate seemed to really enjoy this part of the day judging by the smiles on their faces and we all got another chance to see them posing alongside Victoria and Daniel. State Visits, we're always told, are about building ties and in particular looking at ways the economies of the two countries involved can work together. 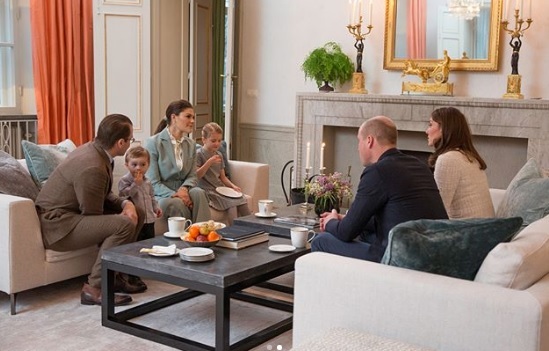 This official visit had more than an echo of that on day two as the Cambridges and the VicDans (it kind of works) headed to the NK Department store in Stockholm for an ''interactive exhibition of UK design, fashion and brands that operate in Sweden''. So there. This seemed to involve lots of very interested looks from the royals while various things were shown to them. Well, mostly shoes. Everyone looked really very keen to learn more and Daniel kept on talking while everyone else kept on waving. When you're going to be monarch one day you just have to get used to this kind of afternoon. Clearly, after all that, everyone needed a nice cup of tea and a sit down so they all headed back to Vic and Dan's for a chat. A very royal chat. 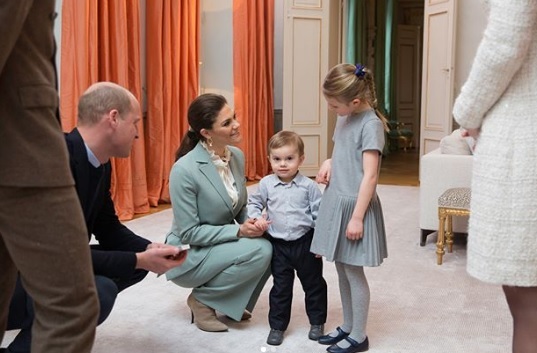 Having wiped their feet several hundred times, they all headed into the very white sitting room where the Crown Princess of Sweden and her husband introduced the royal masterclass that is their daughter, Princess Estelle. Estelle, as everyone knows, can't help but sparkle and she was on top form today, looking sweetly at baby brother Prince Oscar who did bemused rather than his usual full grumpy before stuffing a muffin into his face as fast as he could. Estelle, meanwhile, balanced a plate gracefully on her lap and politely tucked into tea while Kate looked really very earnest about whatever it was that was up for discussion. In the absence of a State Banquet, this mega dose of royal sparkle more than did the trick and it even involved food, just to keep the metaphors going. There was just one more engagement left after that and it involved evening wear. 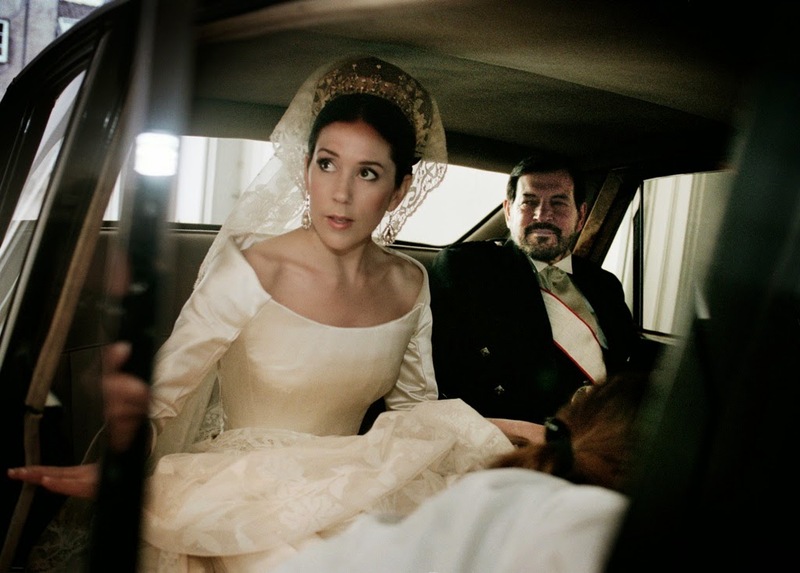 After the hoo-ha over last night's gala gown (Kate in curtains controversy, see the photos here) there was much expectation ahead of the event at the Fotografiska Gallery celebrating contemporary culture. Yep, that's another State Visit box ticked. You don't get through one of those big babies without a dose of contemporary culture. William gave another speech which involved him offering a smattering of Swedish and paying tribute to the friendship between the UK and Sweden. And with that, #RoyalVisitSweden came to an end. Almost. The Duke and Duchess of Cambridge depart Stockholm tomorrow morning for the short flight to Oslo and #RoyalVisitNorway. The state of things to come?